Are We Guilty of Prostituting the Prophetic? Speaking about false prophets, 2 Peter 2:15-16 says, "They have forsaken the right way and have gone astray. They follow the way of Balaam the son of Beor, who loved the wages of wickedness, but who was rebuked for his iniquity. The mute donkey speaking with a man's voice constrained the madness of the prophet." Balaam's error is the selling of prophecies, which I call the prostitution of the prophetic. This is when someone starts off hearing the word of the Lord but then begins charging fees, falling into divination (Jude 11; 2 Pet. 2:15-16). It is when dream interpretations are given for a fee and money is mandated in exchange for prophecies, following Balaam's error. Payment for prophecies is not related to the common practice of ministry offerings. Ministries that prostitute the prophetic misapply 1 Samuel 9:7, where Saul said, "But listen, if we go, what will we bring the man? For the bread is gone from our satchels, and there is no present to bring to the man of God. What do we have?" Having no bread and no present, the servant offered to give silver. At first glance, it may seem that they were paying the prophet, but when we look closer at the text and commentaries, we learn that during the times of the judges people provided the basic needs for the prophet, supporting their ministry. Presents given to the prophets were a cultural practice of respectful homage to an elder. These were small gifts and not used to pay for prophecy. The prophet Samuel did not participate in the "conspiracy of the prophets," which is when treasure and precious things are taken for personal gain and prophesying when the Lord hasn't spoken (Ezek. 22:25). Scripture clearly warns against practices like this (Jer. 6:13-15; Jer. 14:14-16; Mic. 3:11-12). The digital age has provided new ways to publicize messages, raise money and market ministries. The Church should be leading technological innovation. There is nothing wrong with paid subscriptions, online ministry school fees or other training costs that are reasonable for the equipping of the saints to support the overhead, administration and salaries of the ministries. But the peddling of prophecies is the misuse and abuse of God's spiritual gifts and caves into the temptation of false prophecies from the imaginations (Jer. 23:16; Ezek. 13:2). 2 Corinthians 2:17 (NIV) says, "Unlike so many, we do not peddle the word of God for profit. On the contrary, in Christ we speak before God with sincerity, as those sent from God." According to Strong's Exhaustive Concordance, the root word for "peddle" is kapelos, which is a "huckster," one who retails and adulterates the Word of God, corrupting it for profit. Generosity is key to Christian living. We are to be willing to share all good things with the one that teaches so that they make a living (Gal. 6:6; 2 Cor. 9:7). But our giving to the ministries that help us grow in Christ are not financial gifts given for prophecies. We do not give to receive. Tithes and offerings are basic principles we should apply as we give to God as an act of worship. But we need to correct ourselves when giving is mandatory or manipulated. Matthew 10:8 says, "Heal the sick, cleanse the lepers, raise the dead, and cast out demons. Freely you have received, freely give." We are to cherish spiritual gifts which we were freely given by God. Loving God and loving one another is how the world will know we are God's children as we freely prophesy. 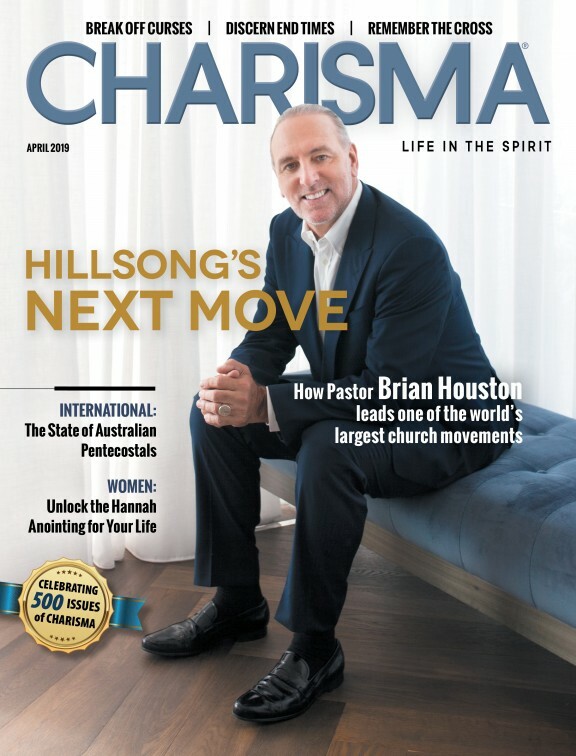 Jared Laskey is starting Destiny Open Bible Church in Virginia Beach, Virginia, and is a contributing writer to Charisma Magazine online, Hello Christian, God TV and Message of the Open Bible Magazine. He lives to see Jesus awaken this generation to the power of His Holy Spirit. You can follow him on Twitter @jaredalaskey. For more information check out firebornministries.org.